Kula Gold Limited (ASX: KGD) is focused on the strategic development of its 100%-owned Woodlark Island Gold Project (WIGP), located 600 kilometres east of Port Moresby in Papua New Guinea. 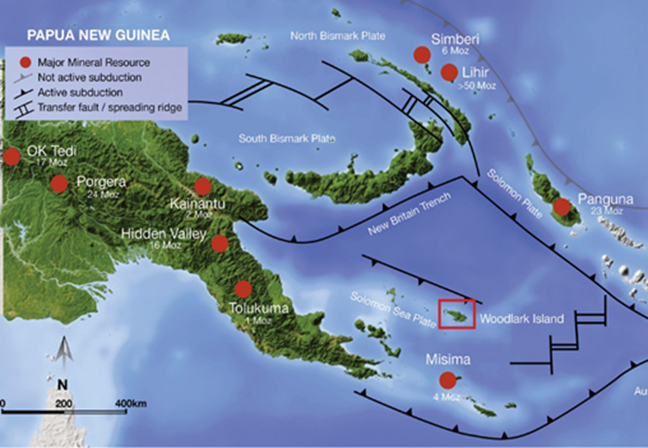 The State of Papua New Guinea has agreed to acquire a strategic 5% interest in the Project. The fully-permitted Woodlark Island Gold Project, contains a JORC Resource of 2.1 million ounces of gold and a JORC Reserve of 766,000 ounces of gold following the completion of a successful feasibility study in 2012. Kula Gold achieved a major development milestone in July 2014, receiving the Mining Lease approval for the development of a 1.8Mtpa gold mining operation on Woodlark Island. In addition to having a clearly defined pathway to production, Kula Gold is continuing to systematically explore the WIGP following the identification of a number of large scale hydrothermal systems within the Project area that remain largely untested. A new exploration model has been developed which incorporates recent exploration data with the Company’s existing geological knowledge. The model has proven to be a successful on-ground targeting tool, with a number of identified high priority exploration targets returning significant ore grade mineralisation.